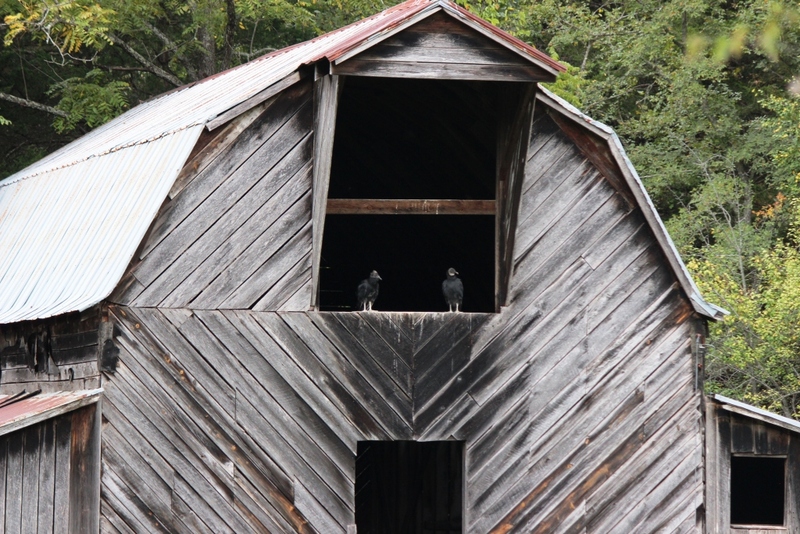 I was finally able to get a photograph of the two buzzards in the barn (after borrowing a quality camera from my sister). 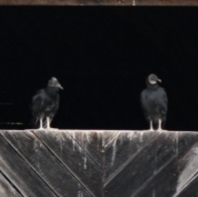 Sometimes I can identify which is the mother black vulture and which is the offspring, but I can’t in this picture. If I could see them moving around or flying, the awkward one is obviously the baby. This entry was posted in Hollow News and tagged Vulture by Keeper of the Hollow. Bookmark the permalink.